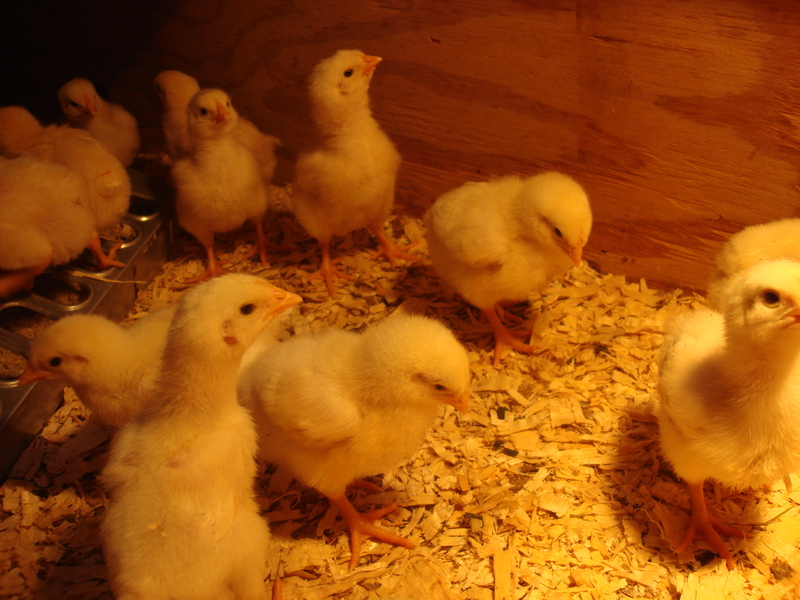 Pastured Chickens: Should a 4-year-old meet his future dinner in the coop? So we were down at Restoration Farm C.S.A. doing some work (or I was supposed to be doing some work, but we were chatting more than anything, what with the little guy wanting to run around). We’ve bought a chicken share; Trish Hardgrove, one of the growers, has initiated a pastured chicken project: $125, five months, five chickens. I was in, of course, but this brings the question of my son to bear. A few generations back, it would be quite normal for kids to look at farm animals as a future meal. But today, it is a bit less usual. I am all for Leandro knowing where his meals come from and plan for us to follow the chicks’ progress from farm to (our) table. I figure, if it puts him off animal products for the rest of his life, is that such a terrible consequence? Looking forward to hearing your opinions on the topic! If you clicked directly to this post, please note that there is a poll in the next post. Click the right hand arrow at the bottom of this post! If Gordon Ramsay could grow pigs in his backyard and his children knew what was going to happen to them and were alright about it, then I am sure you can. However, I still could not select dinner from a field full of animals.